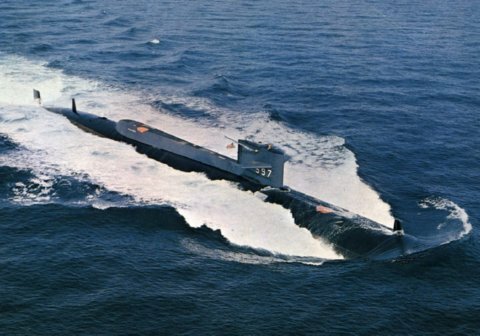 In July 1964, Tullibee participated in fleet exercises in antisubmarine warfare (ASW) tactics with NATO units. The submarine resumed developmental work in 1965 and operated in this capacity into the fall of that year. On 28 October, her home port was temporarily changed to Portsmouth, N.H., when the ship entered the Portsmouth Naval Shipyard, Kittery, Maine, for an extensive overhaul. She remained in drydock for 754 days--emerging on 2 January 1968.